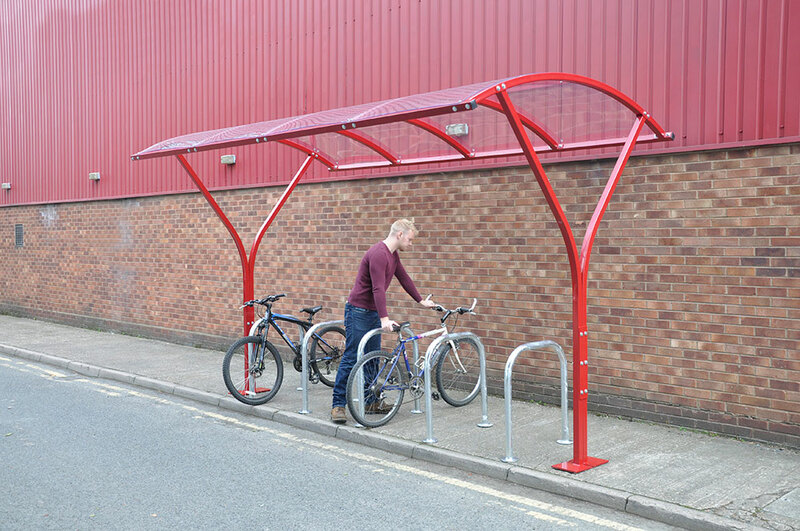 At ESE Projects, we have extensive experience of installing a whole range of different cycle shelters for businesses, schools, hospitals and councils. To make the process of getting your workplace ready for cyclists, we offer a free measuring and estimating service to make sure you get the right solution. It is becoming increasing important that workplaces provide adequate storage for employee bikes, as cycling to work is becoming increasingly popular. It has been suggested that good provision for cycles has been a deciding factor for staff choosing their employer, so it is definitely something worth getting right. There are numerous considerations in selecting the right cycle shelter; these include available access, amount of weatherproofing required and capacity needed. Although it may only be the hardy few who cycle to work in the winter, when it comes around to summer the amount of space needed could soar. So if you are considering installing or upgrading your cycle storage, let us take the hard work out of it and design and install your bike storage solution.